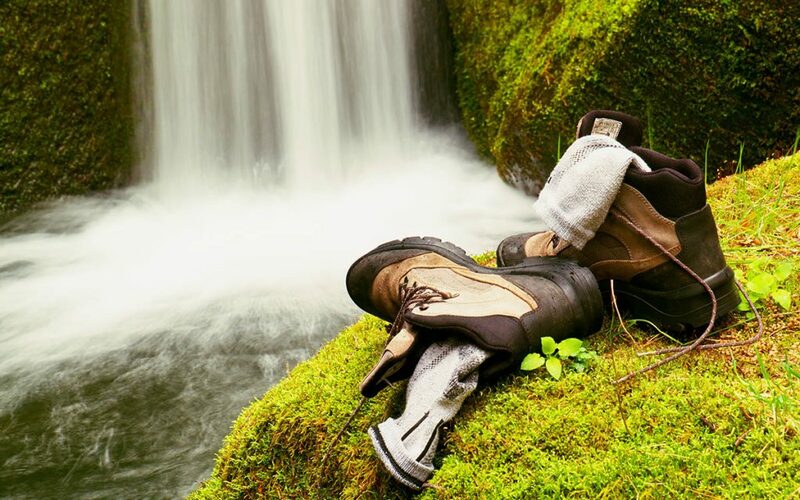 Backpackers and hikers know how important it is to take care of their feet. This appendage is our primary mode of transportation when you’re in the wild. Blisters, fungal infections and odor can make you very uncomfortable especially on long trips. One of the best ways to manage these types of foot problems is by keeping your feet dry and comfortable while hiking. Wearing the best hiking socks can improve foot health and up your comfort levels. Here are some of the best hiking socks available in the market today. The Wigwam Hiking Outdoor Pro is not only warm, it is also breathable. At approximately $14 per pair, it is a combination of affordability and durability. The polypropylene fabric keeps the sock from absorbing moisture while providing the user good ventilation. Despite the synthetic materials, it is also quick drying and can accommodate a liner for layering purposes. However, its affordability has downsides. The sock feels a bit loose, does not have a compression paneling and it loses its wicking abilities in cold weather. Darn Tough is a brand name that is easy to remember, and it is also an accurate description of the company’s products. The Darn Tough Hiker Full Cushion is one of the best performing hiking socks so far. It is made with merino wool blend with full cushioning for warmth, comfort and breath-ability. Despite having a full cushion, this pair of socks is surprisingly thin and quick to dry. It is also designed with superior durability so you can expect this sock to be with you with every mile, plus they are backed with Darn Tough’s lifetime warranty. 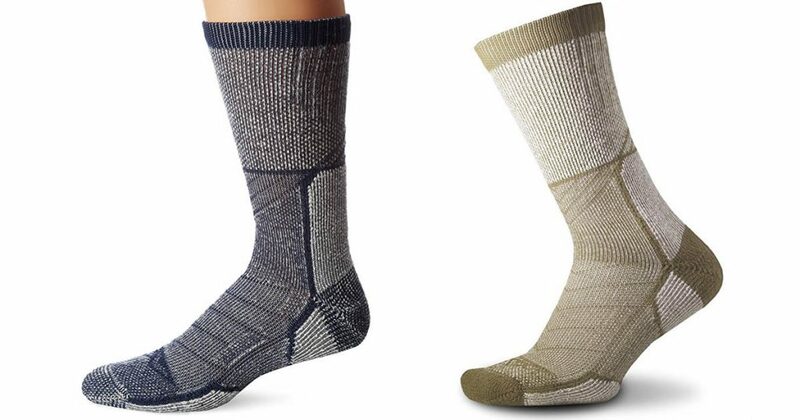 At approximately $19 per pair, it is a good choice for hikers who are looking for a full-cushion boot sock. While the sock is breathable, it can be uncomfortable to wear during summer hiking due to the fact that it is made of wool. 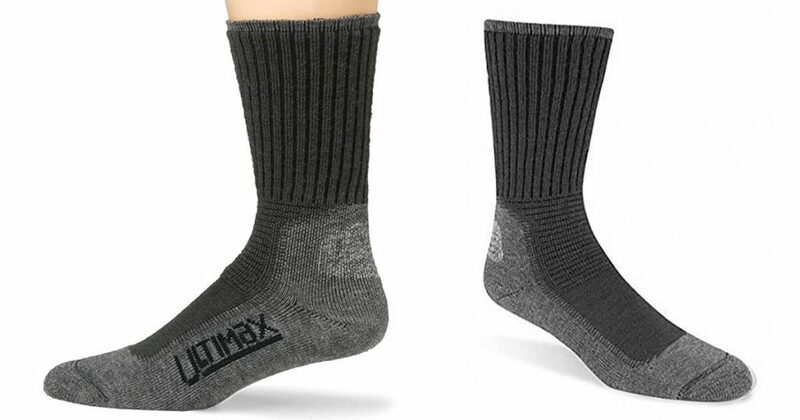 The Smartwool PhD Outdoor Medium Crew is a good blend of comfort and durability with good wicking ability. It can help your feet feel warm in low temperatures with good design. This pair has decent cushioning, good compression, fits well and has a no-itch guarantee. It’s priced close to the Darn Tough Hiker Full Cushion but it is not as breathable. It is also little prone to bunching than the other socks in this post which is irritating since it can cause blisters. However the socks are really versatile and popular, and a lot of people get them just because they are so comfortable to where around the house, and they have some great designs. Some people love five-toe socks, and some people hate them. 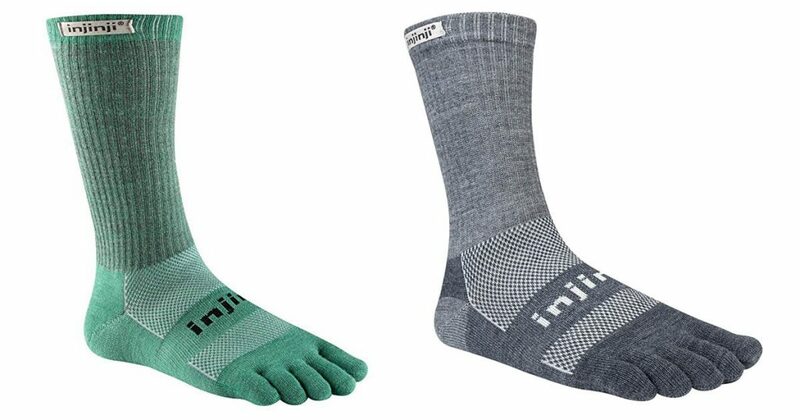 If you’re looking for a tough hiking sock with a five-toe construction, check out at the Injinji Outdoor Midweight Crew NuWool socks. This design encapsulates your toes separately so your piggies can spread out and wriggle for added comfort. According to Injinji, 5-toe designs are better because it helps with better posture and balance while preventing blisters. It is very fast drying time, is breathable and lightweight. However, this pair is is approximately $20 which makes it s bit pricey. 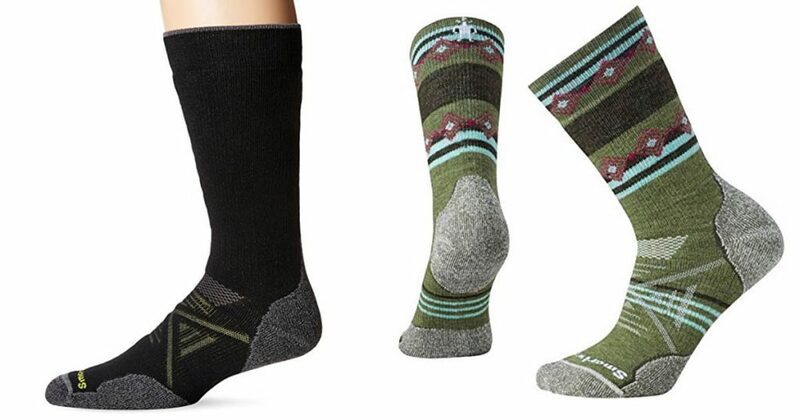 If you like 5-toe socks than a pair Midweight Crew socks is a good choice for summer hiking and hot weather camping, because they are thinner than a lot of other hiking socks and lack padding. While this may come at the cost of some comfort, it makes them cooler than the other socks on this list. These unisex socks from Thorlo an really comfortable. They are specifically designed to prevent blisters and foot pain while hiking, and if you have hard wood floors you can slide an indredably long ways in these things. 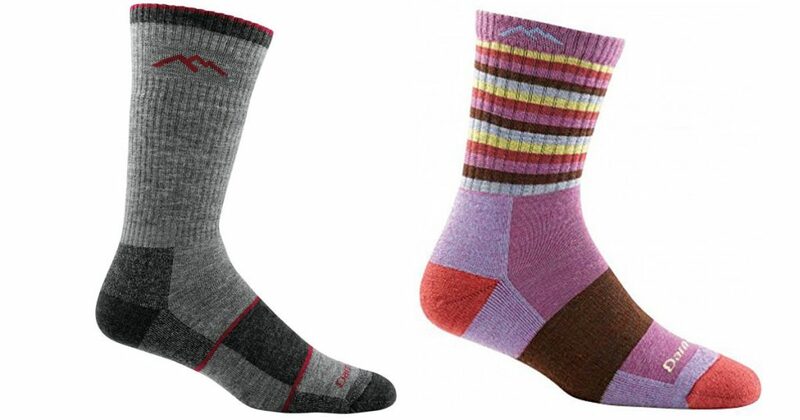 Made with merino wool, it has good insulation and superior wicking abilities for dry and warm feet. It also features a ventilation panel for breathability and padding under the ball heel maximum protection from friction to limit growth of blisters. This sock is a bit thick so they doesn’t dry very quickly, but there are many hikers who won’t use anything else. When your miles away from civilization, your feet are often the main way way you get from Point A to Point B. Wearing proper hiking socks during your trip can help keep your feet happy. The right socks can also make your enjoyment of the trip more pleasurable and memorable. Socks may not be as exciting as all the cool electronic camping gadgets that seem to be everywhere, but they are more important.